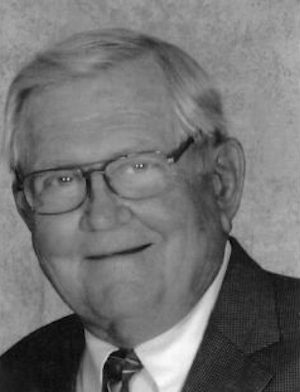 Obituary – Baetz, Ronald Max « Perry High School Alumni Association, Inc.
Ronald Max Baetz, 82 of Perry, Oklahoma passed away on October 24, 2016 at the Green Valley Nursing Home in Perry, Oklahoma after an extended illness. Funeral Services will be held on Thursday, October 27 at 2:00 PM at Christ Lutheran Church with burial to follow at Grace Hill Cemetery in Perry, Oklahoma under the care of Brown-Dugger Funeral Home, Perry. He was born at home on 3 east 1 ¾ miles south of Perry to Max William Baetz and Meta Christine (Gorath) Baetz. He graduated from Perry High School. After high school Ron met the love of his life, Leta Faye Franks; they were married in Aztec, New Mexico on October 8, 1959. To this union four children were born Roni Faye, Jana Elaine, Gary William and Ronald Mark. 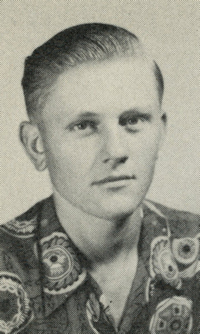 Ron joined the United States Army where he served for two years. Ron retired from Ditch Witch after 39 years. He was active in his community, served on the Perry School Board, the Perry City Council, and after his retirement from Ditch Witch, he drove the school bus for Perry Public Schools. He loved farming, collecting and restoring model tractors, enjoyed spending time with his family, gardening, and was accomplished at oil painting. Ron was an active member of the Christ Lutheran Church in Perry. He was baptized and confirmed in Christ and was a life time member serving in various offices of the church; Elder, Sunday School Superintendent, Trustee, Usher, Men’s Club and Thrivent for Lutherans. He also served as a Board Member for the Lutheran School. Ron will be remembered as a loving husband, father, grandfather, great-grandfather, and will be missed by family and very special friends acquired throughout the years. He was preceded in death by his parents, Max and Meta; a daughter, Jana Potter and a grandson, Hesten William Potter. He is survived by his loving wife of 61 years, Leta Faye of the home; Roni Folsom and husband, Richard of Perry, OK; Gary Baetz and wife, Patti of Perry, OK; Mark Baetz of Odessa, Texas; son in law, Jerry Potter of Red Rock, OK; brother, Donald Baetz of Poteau, OK, and sister, Yvonne Hodge of Perry, OK. Twelve grandchildren, Mindy Crupper and husband, Brandon; Cody Folsom; Jessica Knox and husband, Lidy; Kaelyn Roberts and husband, Jeff; Kassy Groom and husband, Matt; Ashley Potter; Blake Baetz, Dusti Baetz, Taelor Baetz and Darcy Baetz; Lacy Davis and husband, Richard and Amber Hill. Great Grandchildren, Jase Roberts; Skyler Kindrick and Laikyn Hill.